FITClimb LLC offers the exclusive training programs for the Summit Power Tower by Synergy Air. A comprehensive program led by a Master Trainer that will teach you everything you need to know about technique, body alignment, rhythmic drills, choreography, music playlists, studio setup and etiquette. Programs Offered: Power Up and FITClimb Training including Rhythm, HIIT and Strength. Contact nicole.davis@fitclimbtraining.com for training program information. 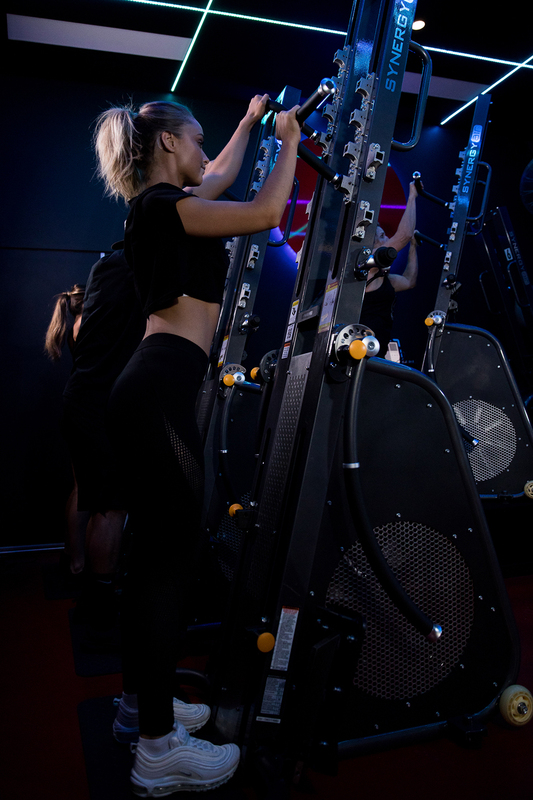 Visit our showroom in Sacramento, California to experience the Summit Power Tower in a unique fitness studio setting. Classes will be led by a certified instructor with a state of the art sound system synchronized with LED lighting and high energy music.